DMC threads 6 strand, 8.7 yards per skein ($0.74). The thread is listed on the last item of this page. I don't list all the DMC colors. Please put down how many DMC threads that you want to purchase, in the check out "Comment Section", please put down the DMC number and how many skeins you like to purchase. If you have any question, please email me before your purchase.For examples, if you need 5 skeins of DMC threads 810, put "5" in the cart, on the comment section, please write DMC color is 810, 5 skeins. ncludes: 8 new skiens of multi-colored floss. Colors are Mediterranean Sea, Cupcake, Azalea, Cotton Candy, Laguna Blue, Berry Parfait, Orchid, and Enchanted. Includes: 8 new skiens of multi-colored floss. 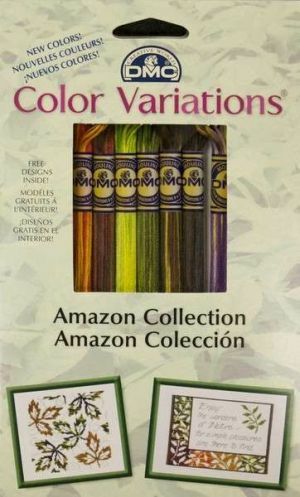 Colors are Espresso, Amazon Moss, Camouflage, Margarita, Fall Harvest, Peanut Brittle, Terra Cotta, and Purple Pansy. 16 new colors, 3 free patterns included. 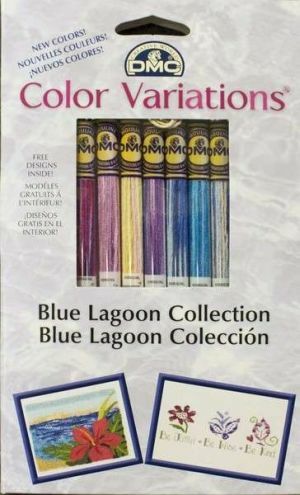 Color Infusions is an inspiring line of fibers that bring vibrant color, texture and a new dimension to all your craft, paper crafts and all your art projects. Memory Threads are fiber wrapper wire. 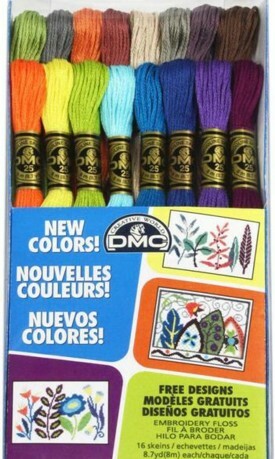 Please put down the DMC color and how many skeins you want to order in the "Comment Section" of the check out screen.